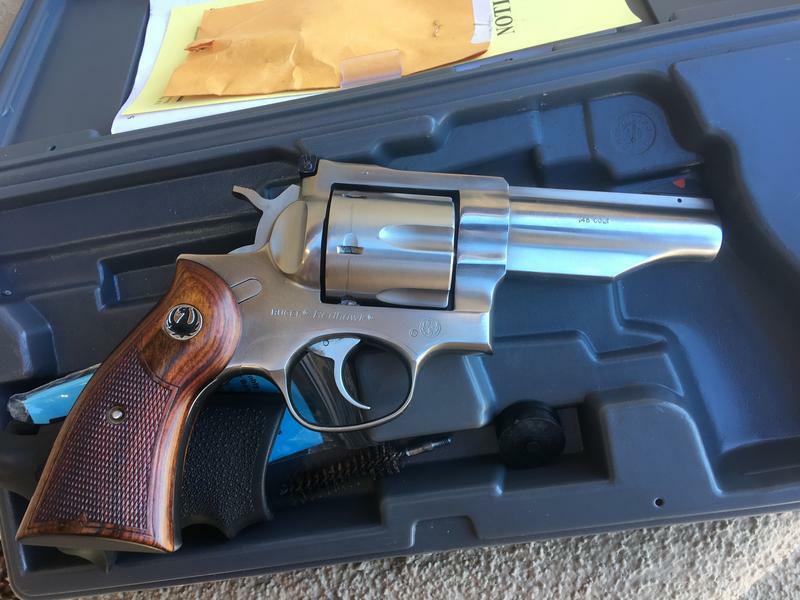 In the hunt for a Ruger Redhawk in 45 LC/45 ACP with a 4.2" barrel. If such a beast exists. Last edited by Wilsknife; 11-03-2018 at 04:44 PM. Price is firm, no trades. Payment via USPS Money Order only. Last edited by ATCDoktor; 11-01-2018 at 01:57 PM. Does it do 45 ACP with moonclips? I need to relieve myself of a couple of pieces before I have the funds. I will contact you to see if it is still available. This specific revolver is chambered in 45 Colt only. Doesn’t take moonclips nor fire 45 acp. May I suggest you continue any inquiries concerning this offer via PM.